Over the past few weeks, I’ve finished reading two smaller works that need some attention. Here they are. My good friend, Mark Rubin, insisted I take his copy of this little memoir/essay collection written by Chabon, the author of Wonder Boys. Though I’ve never read the novel, I loved the movie (starring Michael Douglas) so I readily accepted Mark’s persistent gift. Here’s my take: Chabon is a fine writer and some of the essays in this collection deserve applause but overall, even as slender as the volume is (just over 120 pages 4″ x 6″ hardcover format) to me, the book feels less a completed work and more a quick moneymaker for the author. I say this because the writing felt uneven and, at times, bland. Oh, don’t get me wrong. Chabon grabs your attention right out of the gate (especially if you’re a writer or an avid reader or a wannabe author) beginning the work with a stellar piece, “Introduction: The Opposite of Writing.” In the story, the author replicates advice he was given from a sage of words whose identity remains clouded in time and mystery at a cocktail party years past. The advice? Chabon breaks this primary authorial law by marrying, having children, and trying to balance art and fatherhood. A strong, strong starting point for what I thought would be a collection of essays following Chabon’s life on both accounts. Chabon tries to accomplish this duality but, in the end, stories like “Little Man” divert off that expected path and not with clarity or good result. “Against Dickitude”, a story about a father trying to impose some sort of empathy for young women and their own problems and issues when pursuing adolescent love upon his surly son, is a nice, stand-alone reflection but again, it doesn’t really fit the premise of the book. There’s precious little connection between the essay and the opening essay, the exploration of how difficult it is to balance being a parent and trying to write something worthwhile. In the end, I have to say I enjoyed most of the individual stories as stand-alone snippets of life but I failed to gain an overall appreciation for Chabon’s struggles as a father who writes. And that’s something I’m intimately familiar with! 3 stars out of 5. Read Bird by Bird by Ann Lamott or On Writing by Stephen King if you truly want to understand what being a parent and writer means. As depicted in my essay from a recent BWCA canoe trip with my son and grandson, I not only lugged this Minnesota author’s latest essay collection with me in my Duluth Pack, I read it nightly and, after encountering “The Wild Wind”, a piece that reminded me of one of my own family canoe trips into Sawbill, I ended up reading the story aloud to my kid and grandkid around a crackling fire in the heart of canoe country. It was a fine, fine piece of outdoors writing and it deserved to be read aloud in such a sacred place. While the accolades and blurbs attached to the dust cover of this book place this compendium on the shelf next to Leopold and Olson, Wood is neither. But that isn’t a bad thing. He writes in his own style, making memories of past experiences real and tangible in his own, distinctive way. 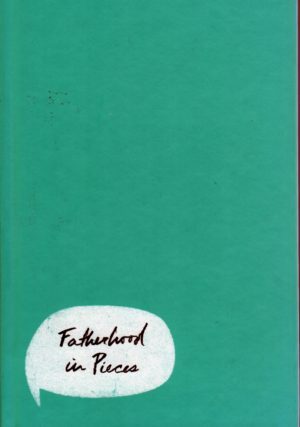 Beginning with tales of a Midwestern upbringing that involve the excitement of bullhead fishing, Wood charts a course through his life of guiding, canoeing, and adventuring that, all in all, is a very satisfying chronicle of the wilderness he and so many other outdoors writers and conservationists love. Being an unrepentant worm dunker when it comes to brook trout fishing, I thoroughly enjoyed and related to “Streams of Consciousness”, a dandy little essay about chasing native, wild trout in crystalline waters. After that I began to see the stream with new eyes. I started to notice all the little places where the current wasn’t so fast. I looked more carefully and began to see the eddies, the shadows, the undercut banks, the flats where I had to look in three dimensions to see that, although the current on the surface looked smooth and swift and uniform, in fact, rocks and objects on the bottom provided just an inch or two of rest, of protection. Enough. As with his other stories in the book, Wood isn’t content to let us wander that little stream without connection to the greater, larger world or environment. His stories link the reader to the interconnected waters of the world, bringing home the validity of an outdoor ethic that is fairly simple and yet, so seemingly lost in today’s rush to dig, divert, cut, and improve: Every action we take as a species has an impact on the natural world. The choices we make today resound into the future. How are we going to be remembered as exploiters or stewards of the precious woods and waters that are salve to our tortured souls? Not every piece in this collection is perfect or especially crafty or significant on its own accord. 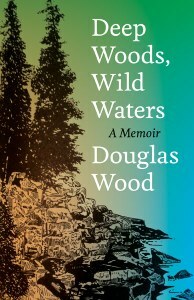 But taken as a whole, while Woods isn’t Sam Cook or Aldo Leopold or Sig Olson or John Muir, he is Douglas Wood and he’s written a fine book chronicling his thinking on the out-of-doors and man’s impact on our world. And that, for my sons and grandsons and granddaughters well-being, is a very good thing.